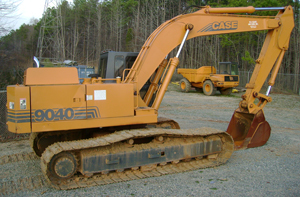 About | W.C. Black and Sons Inc.
W.C. Black and Sons, Inc. is a demolition, excavating, and grading contractor based in Charlotte, NC. We have provided our services to the Charlotte Metro Area and through out both North and South Carolina for over 30 years. As a family owned small business, we understand the importance of quality work and prompt service. We take pride in the performance of our employees and the expertise they bring to every job we complete. W.C. Black and Sons, Inc. has been the contractor of choice for several of Charlotte’s premier custom home builders. Many of our projects have even appeared in Charlotte’s annual Home-A-Roma event. The quality of our work is second to none. We have the right tools to get the job done and the experience to get it done right the first time. W.C. Black and Sons, Inc. specializes in Lot and Acreage Clearing, Hauling, Residential/Industrial/Commercial Demolition Projects, Excavating Projects, Rough and Precision Grading Services, Debris Removal, Erosion Control Measures, and Retention Wall Construction. When you need the best service proffessional for your sitework project, visit www.wcblackandsons.com.